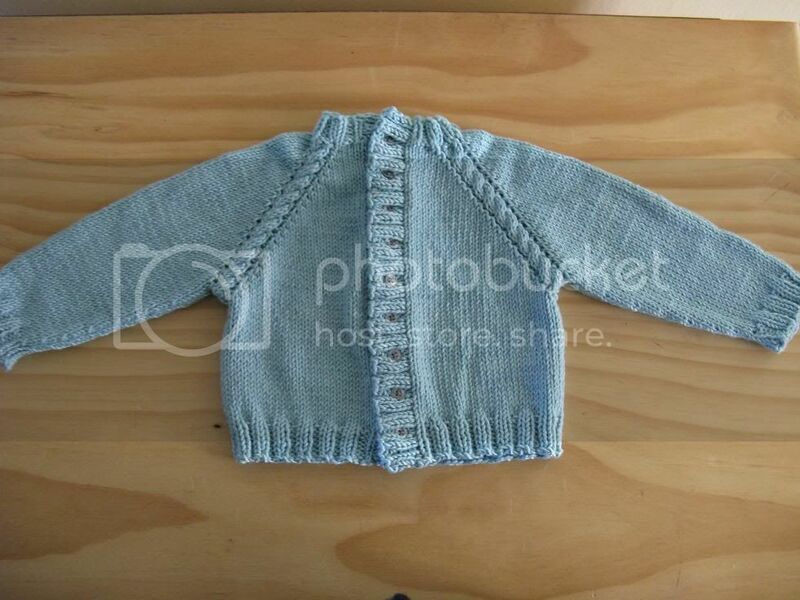 this is my go-to pattern for making sweaters for babies or toddlers. it is a very simple design but i think that is what makes it most attractive to me. it is versatile, can be either boy or girl, flatters many types of yarn, is easy to adjust gauge with and quite frankly i think it looks classy, hence the name. this pattern is for personal or charity use only. not for retail sales (small scale craft booths/fairs ok as long as i get credit for pattern) DO NOT sell pattern for any reason, it is to remain free. i retain the copyrights to this pattern, do not use photos, do not copy to any other website, link here. 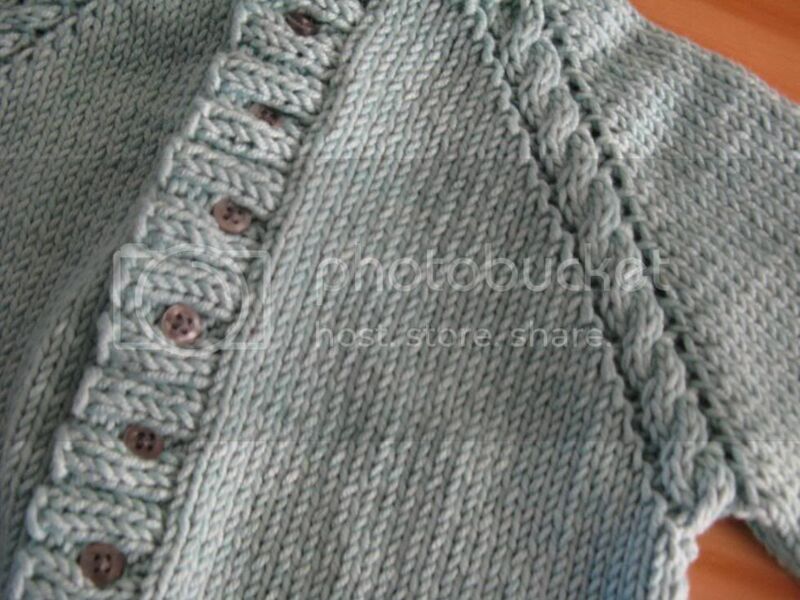 in a word there is no gauge, you can do this pattern with any yarn you want and i will be leaving the directions open to any gauge by giving pattern measurements rather than row counts. rep row 2-5 until the angled cable measures 5(5 1/2, 6, 6 1/2)"
knit to bo gap, slip sleeve stitches to a holder/scrap yarn, knit back stitches to next gap, slip sleeve stitches to second holder/scrap yarn, knit remaining stitches. 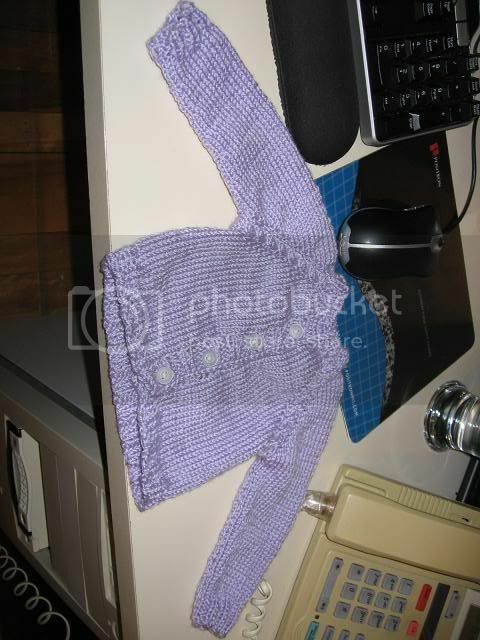 knit stockinette st for 4 (5, 6, 7)"
attach yarn and knit stockinette for 1 inch. work a decrease row every inch until sleeve measures 6 (7, 8, 9)"
work 5 rows 2x2 rib. bo with long tail. use tail to mattress stitch the seam shut being sure to sew shut bound off cable. weave in all ends and sew on buttons to correspond with button holes.